One of the things I’ve come to love the most about my Instant Pot is the option to make the most common and basic foods even easier. 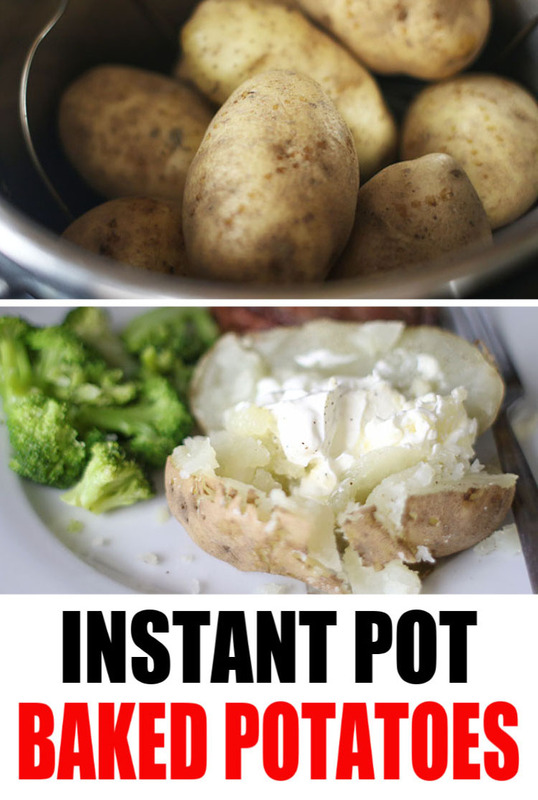 For instance, Instant Pot Baked Potatoes. Make easy, fluffy, perfect baked potatoes in your pressure cooker in half the time (or less), every time. I know getting excited about baked potatoes probably seems a little nuts, but there is nothing more versatile, hearty and filling than a baked potato. 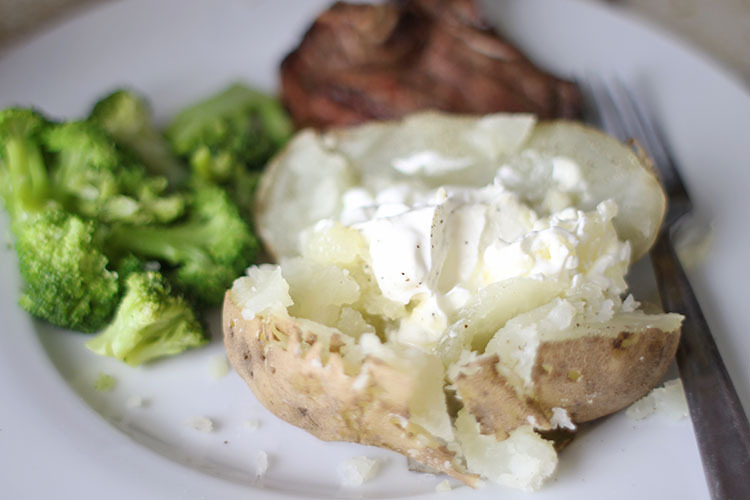 Keep it simple with sour cream and butter for a side dish. Or load it up with broccoli, bacon, cheese, chili, seafood, and/or any number of other toppings for a complete meal. Often I bake a few potatoes and set out toppings and we have a “potato bar” for lunch. It’s always a hit! Anyway, baking potatoes in the oven takes at least an hour. But doing them in the Instant Pot is so easy and much faster. And if you get potatoes that are relatively the same size, you can perfect your “recipe” and get them perfect every single time without worry. So… let me show you how easy it is. First, gather your potatoes anc scrub them clean. I prefer medium, Idaho potatoes so I can make at least one per family member (there are 8 of us). Spread them out and poke holes in them with fork. No need to go overboard. Four or five jabs and you should be good. You can, of course, do fewer potatoes. Or you can use larger “baking” potatoes . But if you do, you may have to adjust your cooking time by adding 2-3 more minutes. Other than the potatoes, the only other ingredient you’ll need is one cup of water. 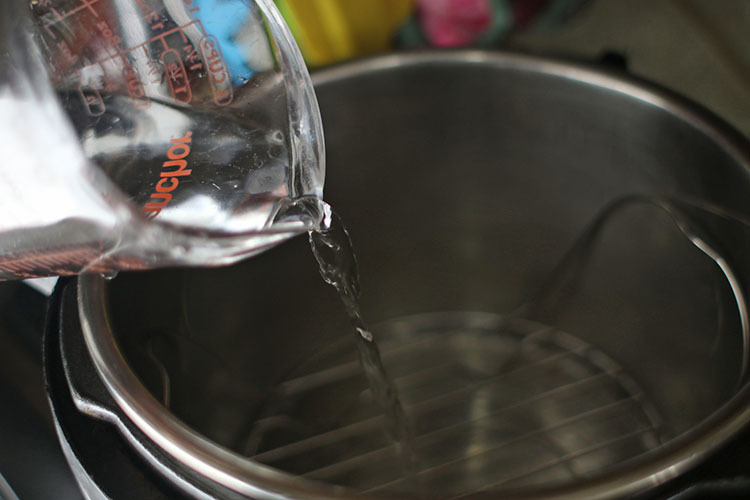 Place your rack in the bottom of your Instant Pot (or you could use a steamer basket), then pour the water in. Stack the potatoes in and then put the lid on. Lock the lid and set the vent to “Sealed”. 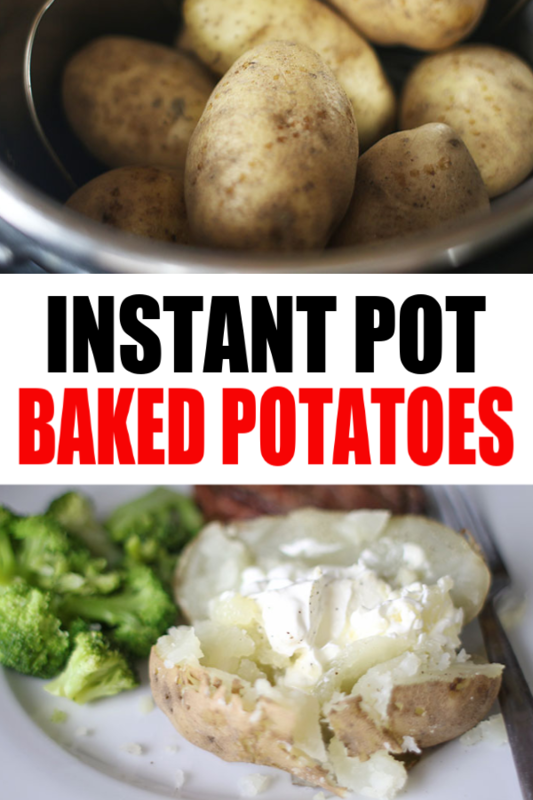 When you open up your Instant Pot, you’ll have perfectly “baked”, fluffy potatoes! I like to test my potatoes by cutting into them with a butter knife to be sure they’re tender. Because I almost always use the same size potatoes, I don’t worry too much about it these days because 12 minutes is perfect for us. 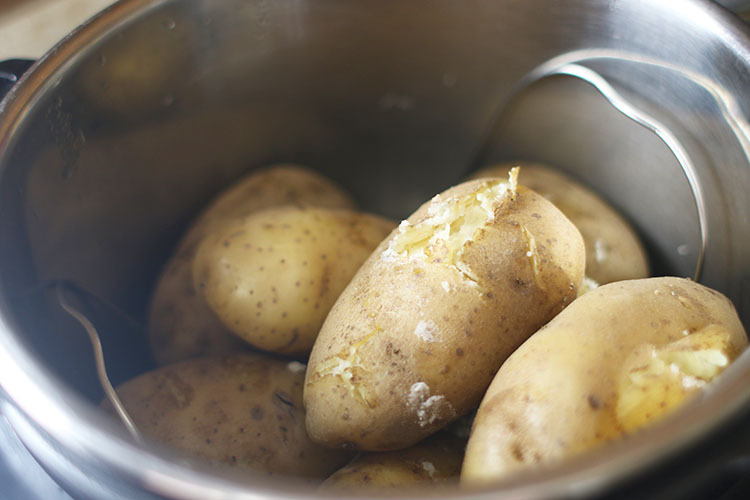 But if you use larger potatoes, you may have to reseal the pot and cook for another 2-3 minutes. We served ours with butter and sour cream, salt and pepper. 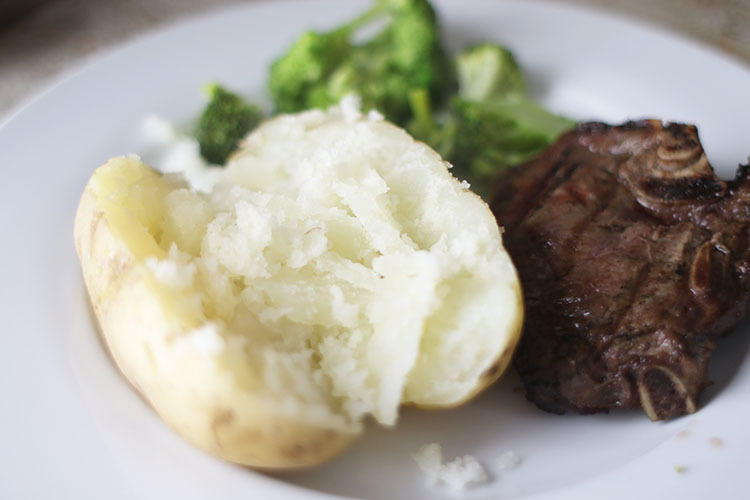 A steak from the grill and some broccoli and it was a delicious meal! And that’s it! 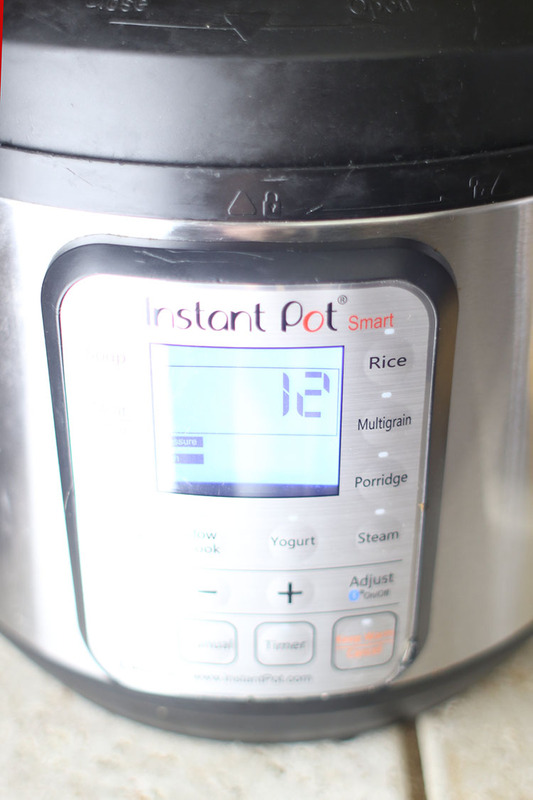 Do you love using your Instant Pot for staple foods and recipes? 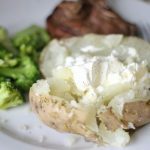 Instant Pot Baked Potatoes. Make easy, fluffy, perfect baked potatoes in your pressure cooker in half the time (or less), every time. Scrub your potatoes clean. Stab with a fork 4-5 times each. 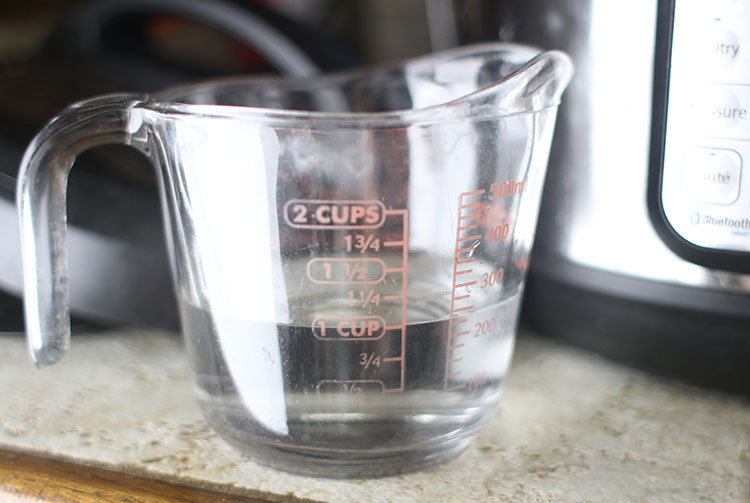 Pour 1 cup of water in your Instant Pot. 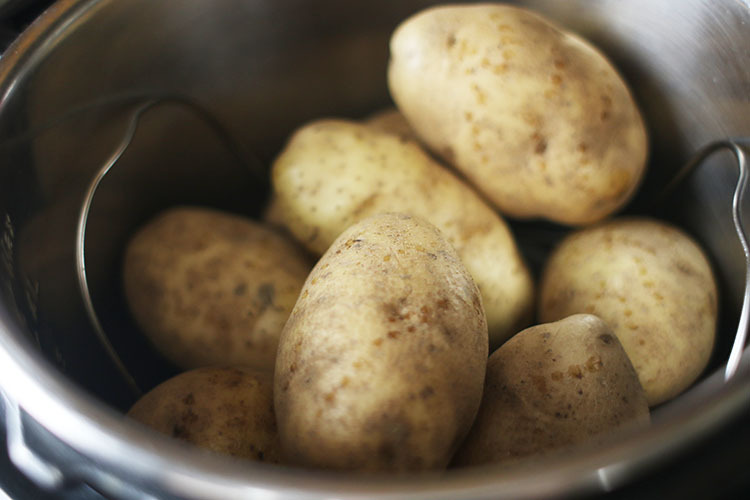 Place the rack or steamer basket in the bottom, then place your potatoes on top. Cut the potato open and fluff with a fork, serve and enjoy with your favorite toppings! 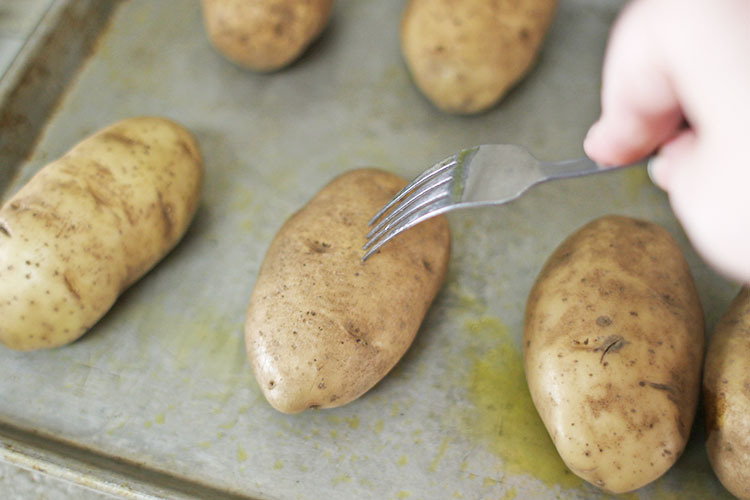 If you use larger potatoes, you may have to add 2-3 minutes of cook time.